On last Sunday within few hours I noticed that on my Facebook Wall a particular post was shared by my three different FB friends and I got glued to the caption of it which said: “THE COMMERCIAL THAT’s GOING TO WIN ALL THE AWARDS.” It struck me on face, as it came across as “Dishonest Advertising” to me. 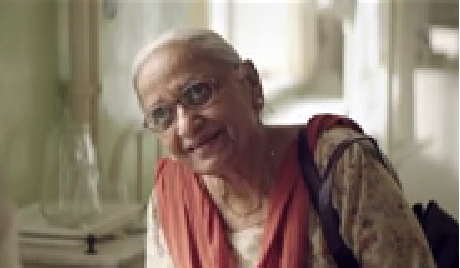 I curiously clicked the link which took me to a blog “The Ad Woman.” The 6 lines blog post talks about a 4 minute+ Video/ TV commercial created for Fortune Oil (an Adani Wilmer product) by Piyush Pandey. 1) Does advertising agencies make advertisements to win AWARDS or to SELL clients products? Is this video repeat of Ford or Kurlon case? Though I doubt so in this case. 2) Can above said advertisement which reveals product name in the end that too in a small font, be able to build enough AI (Awareness Index) or Persuade consumer to buy the product Fortune Oil? “I think this is a very good insight and executed well. It reminds me of the Jalebi Ad of Dhara which was a hot in early 90’s. If a brand has taste as it’s positioning this works well” Vineet Trakroo, CEO Evolution Strategy Advisors LLP says when asked opinion on this. 3) Has celebrity Ad Man Piyush Pandey done an honest job for his client or he has made an advertisement on expense of client’s money to win AWARDS, so that his agency can score more points to remain in race? 4) Even if one is able to justify the copy, what kind of Media Spent will be needed to achieve desired AI and Persuasion Levels by the client? I guess this expensive to produce TV ad copy of Fortune will require three to four times higher media spend to do the same job which an Rs. 20 to 30 lac worth production value TV ad can do with much lesser media spent. In tough current market conditions will client be able to achieve the ROMI (return on marketing investment) with this type of advertising, remains a question? Certainly this TVC of Piyush came across as dishonest advertising in first instant due to Blog Publisher who’s post I saw on my FB Wall but is certainly is not the fact. In last decade with emergence of Digital Media and advertising landscape has changed but appears advertising agencies and its old school of thought Ad Men are yet not prepared to tackle the change. They are forgetting advertising is the product of the times when there was no information available to consumers and advertising was the only exposure to them and therefore delivered sales effectively. Current consumer has access to the information and the kind of advertising which was used to deliver a decade back is no more be effective or efficient in all time high fragmented media environment. Customer no more trust advertising which is bombarded by the manufacturers. TV Advertising role has changed and it need to tick more boxes of brand communication than ever. New TV advertising should be created keeping in mind that what complimentary role it can play in media mix?